Thunder Force III, as the name implies, is the third installment in the Thunder Force series by the defunct Technosoft. It’s a side scrolling shooting game in a similar vein to the Gradius series by Konami. Piloting the FIRE LEO-03 Styx, you’re tasked with fighting against the ORN Empire by destroying the cloaking devices on 5 different planets and then taking down the Empire’s headquarters. The Styx despite being intentionally small is a versatile ship, having a selection of weapons to switch from at a whim, and being able to upgrade the ship to become more powerful and versatile. It’s also notably the first game in the series that ditches the overhead segments from it’s predecessors, instead sticking to the traditional scrolling to the right formula. Thunder Force III was originally released on the SEGA Genesis/Mega Drive, before later being ported/remade to the arcades, Super Nintendo, and SEGA Saturn via Thunder Force Gold Pack 2. To compliment this, SEGA released an updated trailer that includes footage of Thunder Force III, with the game itself being based on the original Genesis/Mega Drive version. 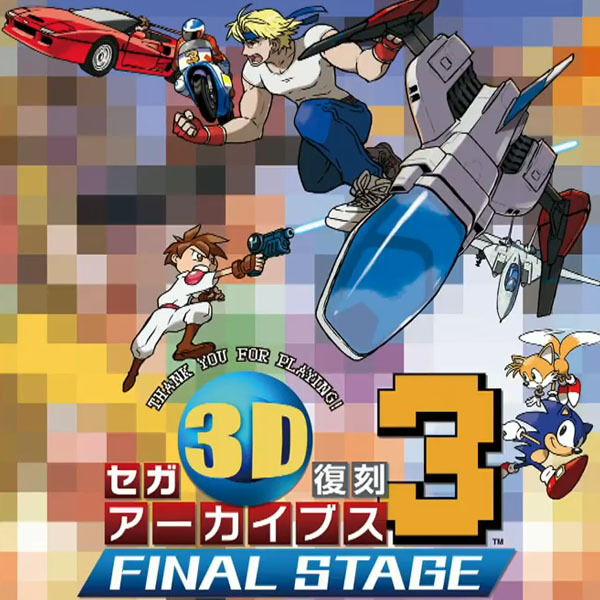 SEGA 3D Archives 3: Final Stage will release on the 3DS in Japan on December 22, 2016.